The reason that BEES swarm is that it is part of their instinct to spread their genetic line, so as to ensure their survival as a species. Over the ‘Bee Season' numbers in the hive increase from about 20,000 to around 60,000….overcrowding and heat can trigger ‘the swarm instinct'. As a Beekeeper….what are the signs your Bees give you? Controversy…in Beekeeping circles it has been discussed that Bees swarm because the Beekeeper is not managing their hive properly! Other factors….hive may bee unwell or could be that the hive-boxes are damp or mouldy or located in a site which the Bees decide is unsuitable. 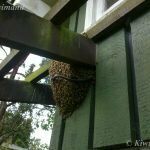 BEE Swarm prevention – how? Queen cells- are there any? 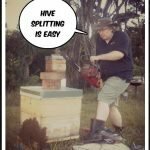 Brood levels – is there enough space? are the brood healthy? Population – how many Bees within the hive? 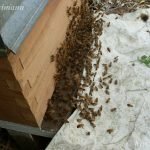 is the hive over-heating? is the hive mouldy? Food – is there pollen? is there enough honey? 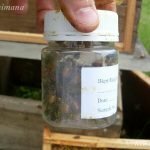 is the hive mouldy or damp? What hive equipment will help keep your hive healthy? Handy hint, use the results of your inspection to guide you on what you need to do! Location of Hive – where and why? BEES need to be warm and dry to remain healthy. The Bees should bee able to ventilate their hive. The hive will not survive in very windy locations. Hives do not thrive under a thick tree canopy (we found this out early on in our beekeeping adventure and lost hives 🙁 ). There should be a nearby water-source. Assess the risk- factor… are you confident in the location of the swarm? 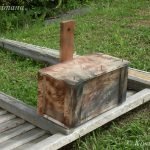 Can you retrieve it without help or more importantly without injuring yourself. 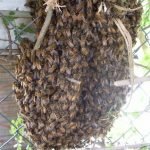 No bee Swarm is worth six months off work or worse? If the swarm is high in a tree or near or one live power lines you could call the power company or it may be time to walk away to fight another day. You can try and and leave a bait or ‘lure' hive on site, but we have never had a swarm move into one of these. If its in a tree at a safe height, before cutting any branches – get permission from the home-owner. Speak to land-owner, explain what will happen, wear a fullsuit – onlookers will love it! In the centre of the cluster you will generally find the queen, try to locate her, ideally if you can locate her, you need to then get her into the box and all the worker bees will follow her – simple…but she's great at hiding, sometimes you see her, but more often, you don't. Otherwise deal with the whole cluster. 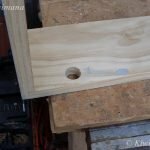 Is the cluster on a small branch that can be cut and moved straight into the box? Or will the cluster need to be brushed into the box or can you shake it straight into the box? Other ways are to place a sheet under (or on the ground under) the swarm, then shake the swarm into the sheet then place your box on the sheet add some twigs leading to the entrance, ideally the queen will enter the box quickly and the workers will march straight in to the box. or is it a non-shakable structure (Like someones car?) use your Bee brush to gently and slowly brush into the box. Some people use a vacuum, this needs to be very gentle or you will damage the Bees. It all depends how accessible the bees are, we aren't builders so if in a cavity of a roof we advise the home-owner to ask a professional to access. You will get better at applying different techniques, the more swarms you come across. 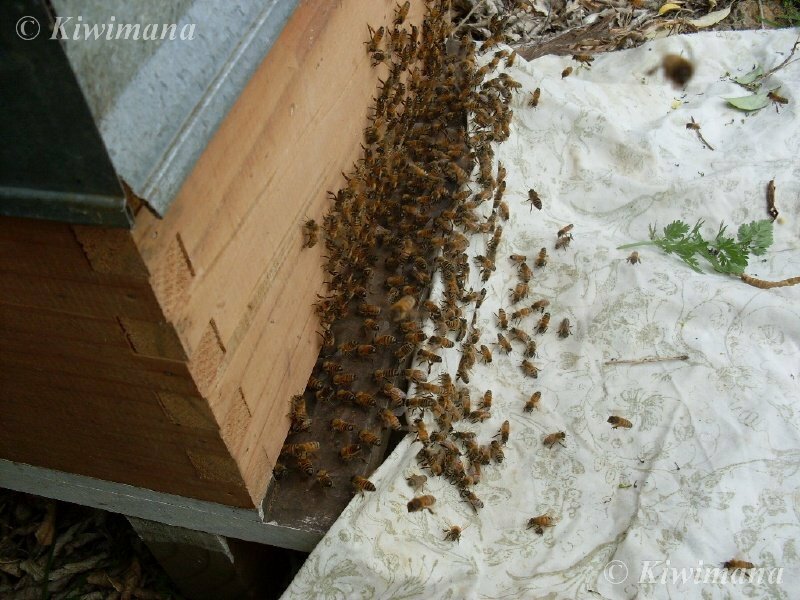 You will often have bees flying around when most of the bees have gone into the box, you can just close the box up and head off, if you are confident you have the Queen, leaving the hive on site til nightfall and collect in the evening. 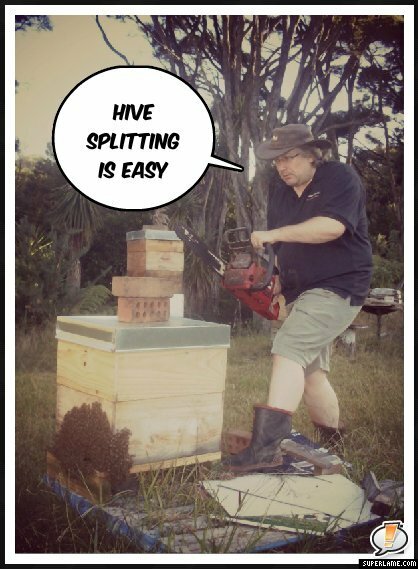 By leaving and waiting, this way you will ensure you get all the field and scout bees and not get repeat calls for the stragglers that will congregate at the location of the swarm. Plus the Bees will be cooler and settling-in. Seal the entrance and transport to new site. Handy hint, once the swarm has been removed from a branch, spraying the branch or area with air fresher masks the Queens pheromone which stops bees landing there again. Always clean up any cut branches that you may have removed, by asking the home-owner where you can place these or take them with you. 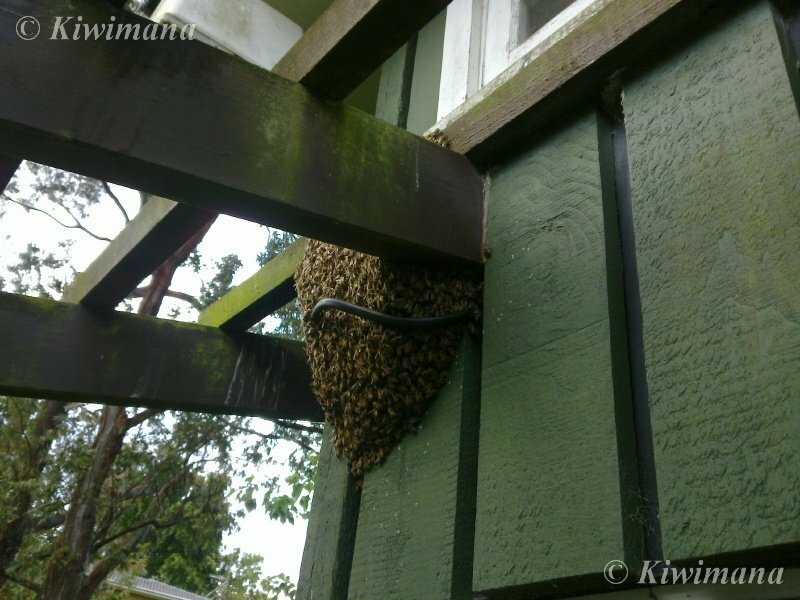 Always thank the home-owner or the person that reported the swarm, and explain why its so important for people to do that. They may call you again next season if the experience is a good one. Once you have collected the swarm you must prepare for the next step – housing your swarm! 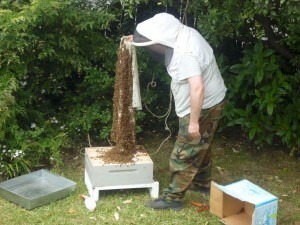 …ensure you have a proper hive box to transfer the swarm in to ! ….a quarantine site would be ideal – so you can wait for them to raise brood from which you can then check for disease and also treat them, before introducing them to your main apiary. Luring a passing Swarm of Bees!!! 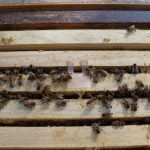 Wrapping up your bees with a moisture quilt? Next post: Borage – Why Is It So Good For Bees? Great post Margaret. Love the addition of the emergency chocolate to the swarm kit – must make sure I add some to my swarm kit bag! A brood box with frames and bottom board ready to go and a lid, also a second brood box without any frames ontop of the existing box can make things easier. A Long bamboo pole or poles any neighbor growing bamboo you could obtain a couple of poles from will likely have at least 3 meter high bamboo. A sugarsyrup feeder (baggie feeder recommended) put a very small drop of lemongrass into the sugarsyrup mix as you make it as well unless its already scented with something else. Put a single drop of lemongrass oil in the hive to make it welcoming, put another drop into a bucket. Make sure you have the lid off the hive, and I would put the baggie feeder in the hive in advance I probably wouldn’t slit the baggie feeder instead just a few punctures with a needle will do initially especially if your transporting the hive later and the hive wont be hungry since theyve already eaten before swarming. Tape the bucket to your pole, make sure the lid is off the hive, have the hive positioned closely underneath the swarm if possible – you might drop the swarm so if that happens you might get lucky and have them drop into the hive! Let the swarm settle if the have only just landed carefully put the bucket over the hive try not to have them hit any side of the bucket till you have most of them in the bucket when you’ve got as many bees in the bucket as you feel you can, give the bucket a tap against the branch (or whatever surface the bees were on) to try and knock the bees into the bucket move carefully yet quickly tipping the bees onto the open hive. This is where having the second empty brood box is handy, it makes it easy to place the bees into the hive as there is plenty of space so later you can put the lid on when your ready. Repeat the bucket scoop with the bees that remain, if there isn’t many clustered give it a few minutes to let the flying bees settle then try again once you have most of the bees tipped into the bucket don’t worry about the stragglers chances are if you got the queen the rest will make their own way into the hive. You can now put the lid on the hive, come back later and check on them if you put the second empty brood box on this can likely be removed, and the bees shaken into the remaining box with frames, and the lid put on, sealed for transport if required. If transporting I recommend not taping the whole hive up they will get very hot in a short amount of time instead have at least a few centimeters of mesh fabric taped to the entrance or just use a mesh board so there is air for the hive to breath. Make sure to transport the hive immediately to the new site don’t delay, I would also recommend leaving a second unused hive (don’t forget the lemongrass) if you’ve got supplies not far away from the swarms new hive this way if you ended up with more than one queen (always possible) then if they swarm again the scout bees might just pick your vacant hive for the secondary swarm to move into. Some might not agree with the sugar syrup but I believe that along with the lemongrass scent lessens the chances of the new swarm from rejecting the hive and re-swarming to a location they consider better. So you caught the old Queen under the hive box? Did she return with the swarm then? It sounds like you did the right thing, giving her a new box. Check that the old hive as new Queen cells now, and leave the old Queen and bees to build up. Make sure you reduce the entrance on the old Queen hive to avoid robbing from the stronger hive. Hopefully the old hive that lost the Queen will raise a new one in the next four weeks. Hmmm best advice is to split hives before the bees do it for you, but I understand sometimes life gets in the way. It does sound like you are doing all the right things with the swarm. Feel free to give us a call if you want to talk it over 09 810 9965.